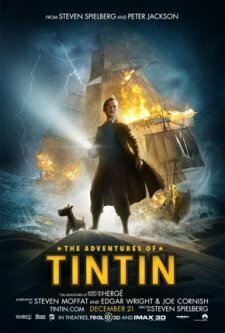 Posted on December 27, 2011, in Movie Reviews and tagged Andy Serkis, captain haddock, daniel craig, Jamie Bell, Movies, Red Rackham, Sakharine, simon pegg, Steven Spielberg, The Adventures of Tin-Tin, The Adventures of Tintin: A Rumbustious and Riveting Escapade, Tin-Tin, Tin-Tin and Snowy, Tintin by Herge. Bookmark the permalink. 1 Comment.